Situated within walking distance of the bustling areas of Dotonbori and Nanba in the city of Osaka, Tsurutontan is just one of many dining options available to visitors to the popular tourist area. With a craving for some authentic noodles, it turned out to be a welcome choice for some hungry travelers. With an alluring entrance leading down a long alley to the front door, it felt like a bit of a time warp into a large wooden-laded space. With ample seating of many tables, we were soon seated in a quiet area with a long table under which we could dangle our feet into the hollowed out box below. If you were to literally translate TORIYOSHI, it would end up being something like “good bird”. I suppose with poultry heavily entrenched in their menu, this is quite fitting and completely appropriate. As after you’ve had a taste of their famous TEBASAKI KARAGE (deep fried chicken wings), you’ll be saying good things about the bird served at this place too! Despite it being a “chain” restaurant, I still find the quality and dining experience here to be a delight each and every time. 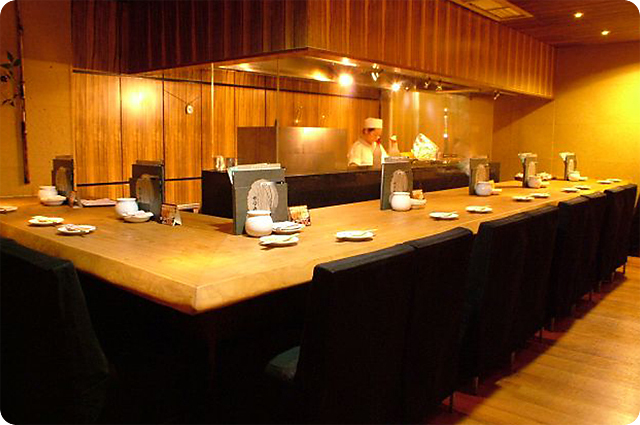 Owned and operated by the Samukawa Food Planning group since 1984, TORIYOSHI has expanded in the 25 years that have passed and now encompasses forty branches spread across mainly the city of Tokyo, but also in other major centers such as Osaka and Yokohama. My multiple visits have always centered around one of the outlets in the Shibuya district of Tokyo, the second branch in this part of town. Its located along the uphill sloping DOUGENZAKA street, and can be found hidden from the sidewalk as it is on a basement level floor of a building. Previously on Foodosophy, I’d reported on a centuries-old establishment that specialized in Dojo fish (Japanese Loach). But today, I thought I’d even go back a bit further in time and tell the story about an even older establishment, which is behind the birth of the oyakodon (the Japanese chicken and egg rice bowl dish). Literally translated, oya means “parent”, and ko means child. Chicken and egg… hope you get the reference. 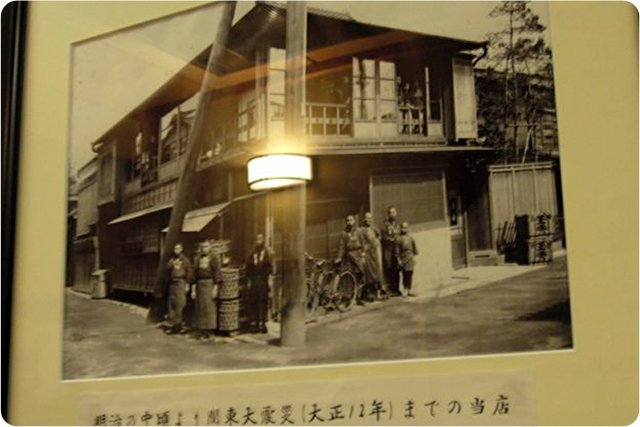 Since 1760, the Yamada family has been involved with Tamahide. Inside their restaurant located in the Ningyocho district of old Tokyo, they proudly display a photograph from that earlier time, showing the structure that housed the restaurant from its humble beginnings (when it began holding a designated role related to the food slaughtering and preparation of chicken for the ruling Shogunate of the era through three generations of the family) through to it operating as a restaurant featuring Shamo breed chicken nabe (one pot dish). They still serve the shamo nabe in various courses and still is probably the best way to enjoy this breed of Japanese chicken through various forms of preparation and cooking methods, although the oyakodon is definitely the less expensive option here, and just as well known. Having lived in various places when it comes to closer to home (Canada), please have often asked me which I prefer among my two latest stops… the coastal environment of Vancouver with its proximity to the ocean, or the majestic mountains that are a short drive away from a place like Calgary. Put simply, am I a ‘water’ guy or a ‘land’ guy? In response I’m apt to say, that as much as I enjoy outdoor hiking and think the Rockies are one of the most amazing natural surroundings any place on the planet, there is something about the beauty and calming sensation that comes with strolling along a beach with the waves crashing against the shoreline and the distinct scent of sea water that permeates the air. Perhaps its also the Pisces in me, but that draw to the ocean always beckons me when I travel. So whenever I come across a harbour with various boats as well as larger ocean liners, I always imagine what it would be like to travel the seas on a daily basis or over long periods of time. 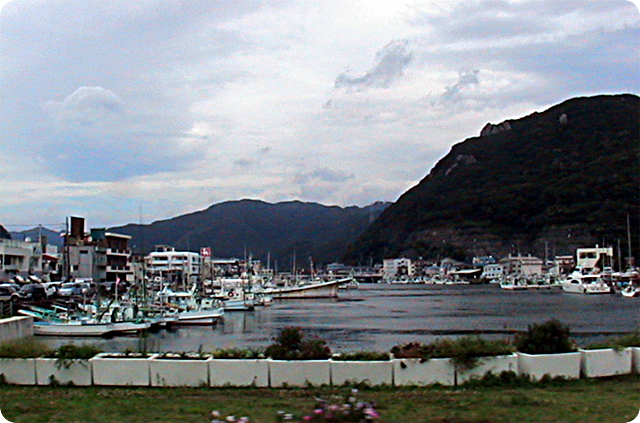 Shimoda City is one such place that struck my fancy with its quaint little waterside marina and the following is a report on a simple meal I had there.